Rebuf 2016 is a young white wine from Celler Vendrell i Rived, located in Montsant, Catalonia. A blend of Macabeu and Garnatxa Blanca -white Grenache- grapes, from 10-50 years old. Josep the winemaker and Nuria -his wife- started with the new winery in 2000, in their locall town of Marça. The old vines -Garnatxa Blanca- were planted by Josep’s family and the new vines -Macabeu- planted by the couple 10 years ago. Josep inheritance old his family old vines and decided with Nuria to start their own project following the organic farming. Since that they planted more vines and become Organic certified. They are focus on making red wines from old Garnatxa and Carinyena grapes, but it is been few years that they are also producing this white Rebuf. Rebuf is the name of a dry wind that comes from the interior peninsula (also Serè, the red wine). It is fermented in stainless steel at control temperature, no lees, no oak. 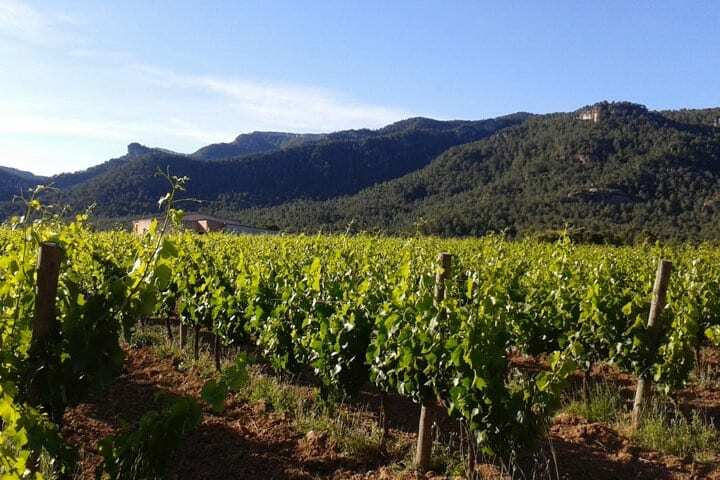 Garnatxa Blanca adds the complexity to the wine and Macabeu gives freshness and fruitiness. Production of 4000 bottles. Manzanillas Añadas 2014. Callejuela, Sanlucar de Barrameda.